©2017 Cortland Lanes. 3684 Warren-Meadville Rd., Cortland, Ohio 44410 Tel: 330.637.2961 | 330.638.1897. 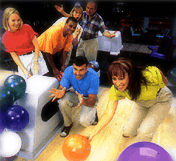 Cortland Lanes celebrating our 57th year in business. Need new equipment? Stop In Today! Don't forget to visit our Pro Shop!